With almost 150 SaaS founders, a set of investors, and the volunteers, SaaSx was rocking content-wise from 10am to 9:30pm, with the @Zarget beachside dinner kicking it into the next gear. How do we know it was a good event? Well the NPS score of 76, with 91 responses says it all! Probably only event that was worth being a part of in the last 1 year. Happy to volunteer next time! The most earth shaking session every year? After all, “Chumma Adhirudhulla.” is the dialogue of his favorite actor! @mrgirish rocked the stage with his sheer authenticity, wearing his heart on his sleeve, and talking about the challenges in building a business like Freshdesk, the mistakes they made on their journey and the learnings from them. More than one founder approached me later saying, ‘If even someone like Girish makes mistakes while growing the business, then I should not fear my mistakes but grow faster by learning from them’. Team @BotmetricHQ is at the #SaaSx4, Chennai event! Best part was how approachable, upfront, honest and open all the big guys were.. These three were chosen by the panel from seven initial conversations, from a shortlist of a few dozen startups who had applied. The startups they picked were in different stages, had to be easily understood by the audience, and yet have enough lessons to learn from. The goal was to create teachable moments, and the audience loved it with many founders volunteering to get their products torn down, something we’re working to do at scale. If you’re interested follow @saasxin to get notified. Fantastic event with priceless learnings. The constant refrain on the SaaS side has been ‘move up market’. But what does that mean? Well if you were at SaaSx, @Sudheer_Zenoti spoke candidly about their journey from SMB->Enterprise. What’s the largest single $ value sale done on the phone from India, for an online sale product? I nearly slipped off my chair when I heard a 7 digit number. In US Dollars. Whoa! And here we are discussing whether Inside sales can work at $30,000. It must be something in the Chennai water that Arun Kumar, COO Zarget drank over his 13+ years of inside sales experience. Or was it in the product? In India, we have enough developers and product managers, to build any product we need. But as Srikrishnan Ganesan pointed out, ‘Market trumps everything’, and if you are in a bad market, or too early, or too late, then there is little you can do to win. There are many paths to $1M ARR. Some have angels that give you loans, and others take some time to light, but then take off like a rocket. If you were there till then end, Ashwin Ramesh of Synup, and Girish Redekar of RecruiterBox, shared their paths to where they are. The only truth is that there’s no one path, you’ve got to make your own! SaaSx4 was fantastic. I started implementing few of my learning from Saturday (18th March) itself. The morning #SaaSFaQ unconference turned out to have some great questions on product/market fit and GTM from early stage startups. Fielded by Shekhar Kirani, Avlesh Singh, Krish Subramanian, there was a great deal of interactive learning concentrated on the floor. Learning for next time, break it up into smaller sub-sections, to get even more interactive and participatory. 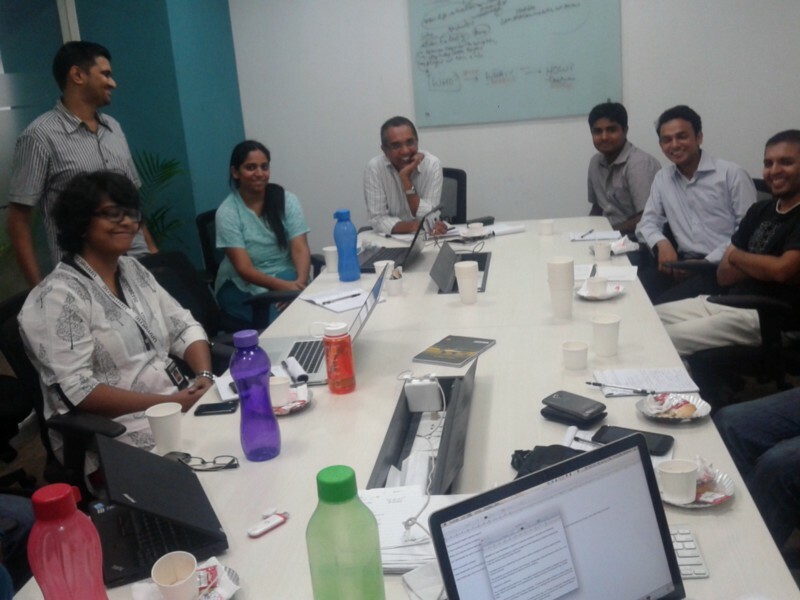 In Product Teardown session, it was evident that Bharat’s inputs blowed everyone away. 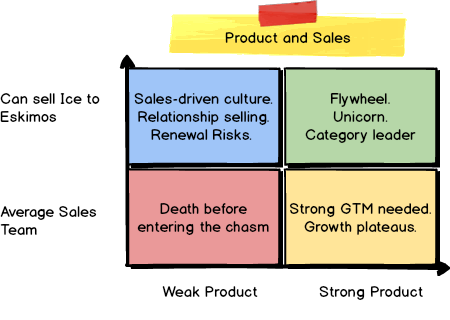 Do you have more than $1M ARR, facing growing pains in your org and model?? 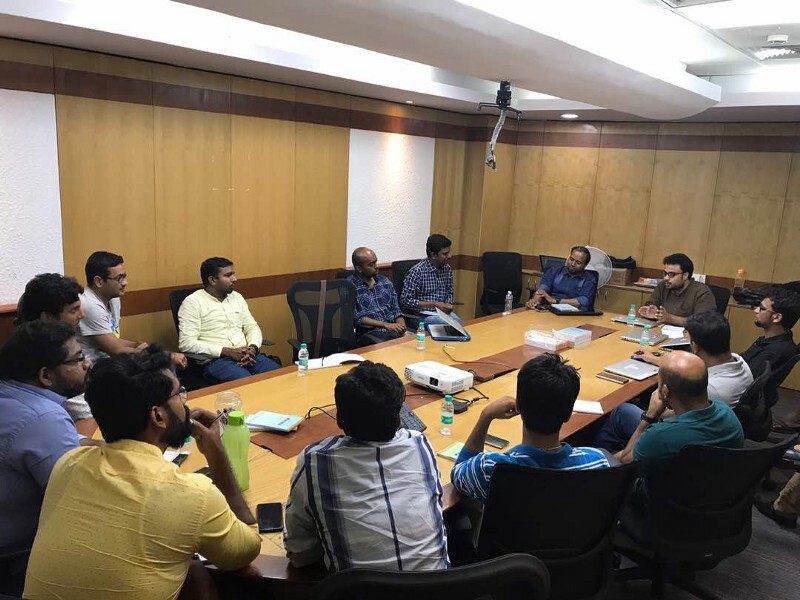 Well, in the morning, the dynamic duo – Suresh and Girish, ran a closed door session for a few founders, getting into serious topics that were only for founders’ ears. What happened inside, stayed inside. Every SaaSx runs purely on the passionate, high-energy, super-committed volunteers, themselves serious SaaS founders & thinkers, who create the strictly curated content that makes for a great experience. This year the volunteers were @MrGirish, @SureshSambandam, @cbKrish, @ArvindParthiban, @Avlesh, @avinashraghava and @sKirani. We sorely missed the ever-energetic wisecrack @vinod_cc. Like every year @_rakeshmondal did a kickass design and website, bringing SaaSx to virtual life online. Here’s to an even better #SaaSx5 next time around! I have worked with iSPIRT for many years now and one of my key lessons has been around the dynamics behind community and ecosystem building. I have learnt that just having a plethora of startups in one geographical location doesn’t make that place the natural epicenter or capital. There is something more to it, an X factor that goes beyond mere arithmetic. This X factor is something that I think Chennai has. 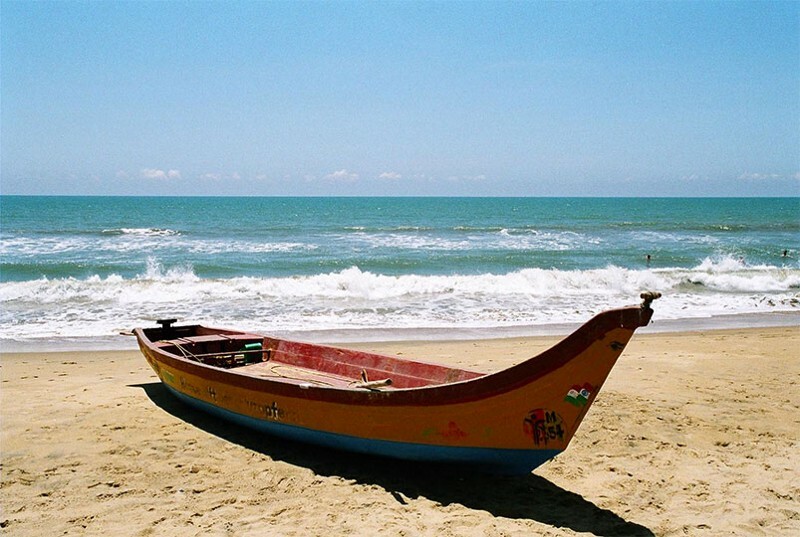 There is no doubt in my mind that Chennai is the capital of SaaS startups in India today. Firstly, the numbers themselves are mighty impressive. Just between Zoho and Freshdesk, two of India’s bellwether SaaS companies, there is around $400m in revenue, about a $100+ million in funding and around 4000+ SaaSemployees. But what is more significant is that around tentpole companies such as these, a massive ecosystem for many other SaaS companies has been created in Chennai. And this is going from strength to strength as we speak. To explain why I am personally excited about Chennai and its focused and committed founders who are building companies in this same mould, let me go down memory lane a bit. If the story seems a bit rambling, please indulge me as it is a personal story that is close to my heart. My early memories of Madras are when I was probably seven years old and my uncle was posted at the Tambaram Air Force station. When we travelled from Delhi to Bangalore by train, the GT Express would halt in Madras for 5 hours as the engine would get changed. Our uncle would pick us up and we would go to one of the beaches. It was also probably one of my early experiences by the sea. I also got to spend holidays a couple of times in the quiet and green Air Force Base in Tambaram. I got placed by NIIT as a GNIIT in a Madras-based software company called RiteChoice technologies (Yes, I was a GNIITian!). They had built the back office software for the National Stock Exchange and I joined as a Support Executive to help them with the sales/support/installation of the software in the Delhi region. We got intensive training about the stock market and how the software functions at the company headquarters. It was great fun those days as you worked for 6 days and the 7th day would be an off site with colleagues who had come from different cities. In those days, North Indian food was hardly available in Chennai and it was tough to have idli/dosas for almost two months (no offence to all my South Indian friends!). The software segment was just picking up at that time and there were very few IT companies. Ritechoice was a product company at a time when we really did not know the demarcation between a service and a product organisation, and their other software was called Suxus. I remember interacting with the founding team; they were full of passion and keen on building more products. I moved on from Ritechoice after six months as we were not able to sell/support the software in Delhi. There were lot of changes being done at NSE and in hindsight, I now understand that we were not able to find the product market fit. I continued with my journey of working with Internet startups with DSF Internet & Trisoft Systems, until NASSCOM happened in 2002. I was again able to interact with a lot of software companies. In the early days whenever we used to talk about products, the company which drew all the limelight was Ramco. It was probably one of the fastest growing companies then, selling ERP software and making a big impact in the user community. It was fighting SAP in those days. I remember that there were around 60 ERP companies at one point of time. Other notable companies in Chennai at that time were Polaris Software(now acquired by Virtusa) and MyAdrenalin. 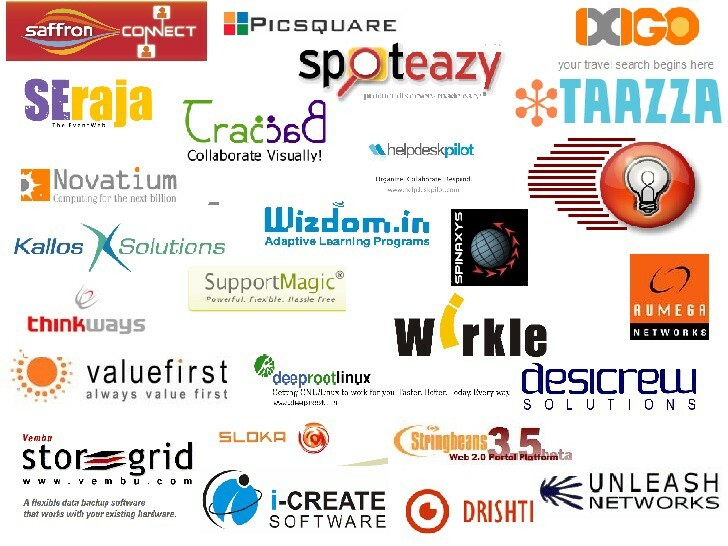 Apart from these companies, there were a few IIT-Madras incubated startups like as well. And there was another small company called AdventNet, which had just started making some noise. 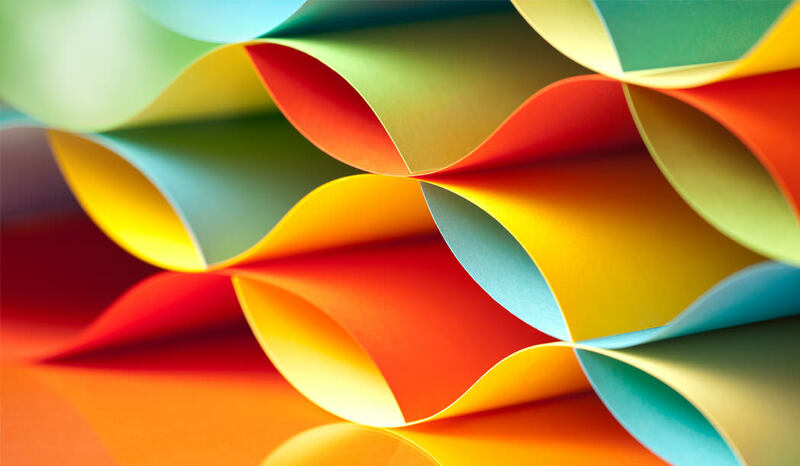 I was introduced to the Twitter/blog world by Kiruba Shankar & Vijay Anand. I remember following them and getting to learn about social media through some of the sessions at NASSCOM. In the early days of the startup ecosystem, very little action used to happen in Chennai, but Proto made a big dent by getting all startups under one umbrella. 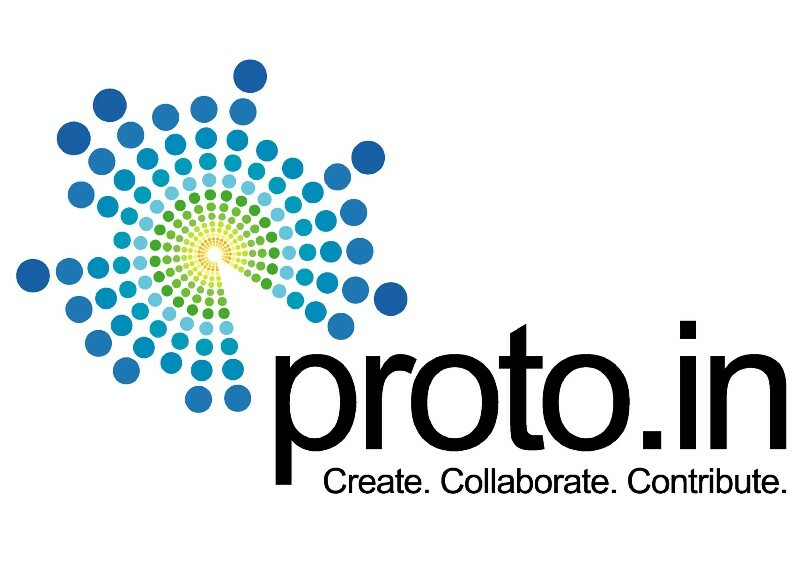 For me attending Proto gave me exposure to the startup community. I got to see Ashish Gupta surrounded by many people and later on got to know that he was one of the founders of Junglee. The event was at IIT-Madras and it was hard to get into any of the halls. They were just full. The man behind the show was Vijay Anand. There were others, of course, nothing in our ecosystem is a one man show, but Vijay did a magical job of getting it all started. I remember how Shalin Jain proudly demoed DoAttend which got built because of Proto. Wikis were used quite extensively first in Chennai for Proto: I’m yet to see another event, even in these event-rich times, which uses Wikis extensively. Some of the well known companies like Myntra, iXigo, Drishti (Now Ameyo), ValueFirst, iCreate (Now Fintellix), Novatium, etc launched their products at Proto 1. Do take a look at Proto 2 as well. Thanks to Amit Ranjanwho continued to upload all these decks and also write about them at WebYantra. If Proto was alive today, it would have probably been the biggest enabler of the startup ecosystem in our country. Pity that it isn’t, but we need to remember that the movement actually started in Chennai. Some of the initial people who really made the EMERGE community happen were people like Suresh Sambandam of Orangescape (now KissFlow), Late Mr. Raja from Coromondel Infotech, Lakshman Pillai of LPCube, and George Vettah of Kallos. These were also product companies and played an important role in building the community. I continue to stay in touch with Suresh and leverage him as much as I can in building the ecosystem. 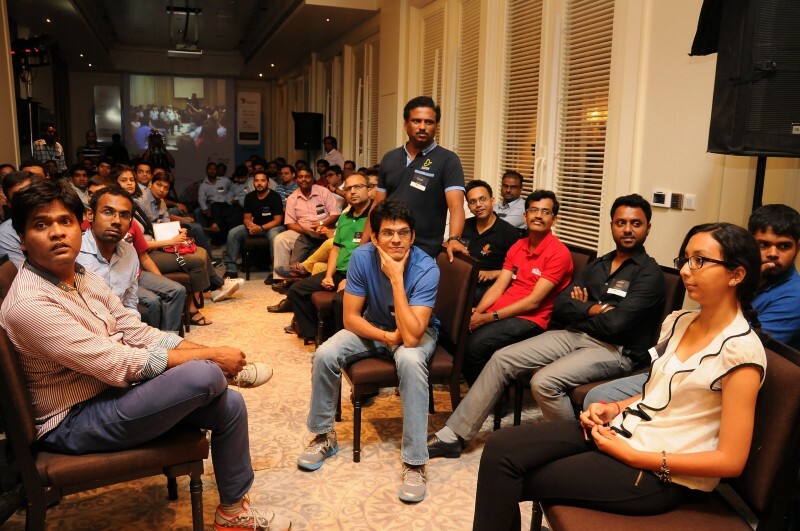 Apart from Delhi, it was the EMERGE conclave in Chennai that was a roaring success. So many people took ownership of the event. 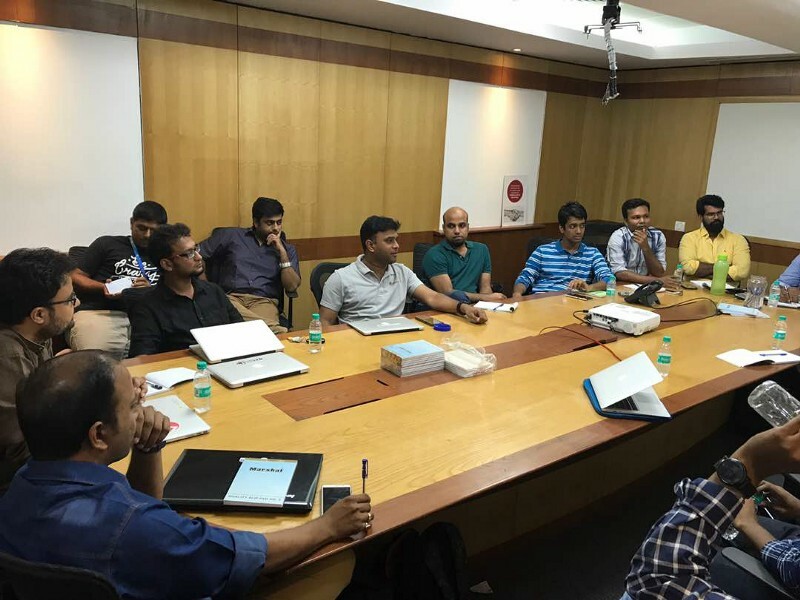 It was almost completely driven by people in Chennai and we successfully were able to build a community for product companies. 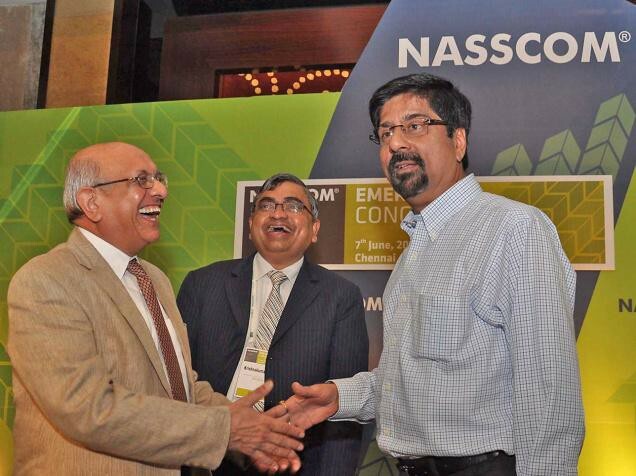 For the first time, Sridhar Vembu of ZOHO spoke at a NASSCOM conference. It was at the EMERGE that ZOHO won an Innovation Award for the work that they were doing to hire freshers and train them. They continue to do so and it’s also very impressive to see the ecosystem that ZOHO has built in Chennai. The ZOHO mafia (Girish/Freshdesk, Arvind/Zarget, Sridhar/Credibase, Krish/ChargeBee) has created many founders (around 42, says Quora). The other Vembu brothers are also still going strong. 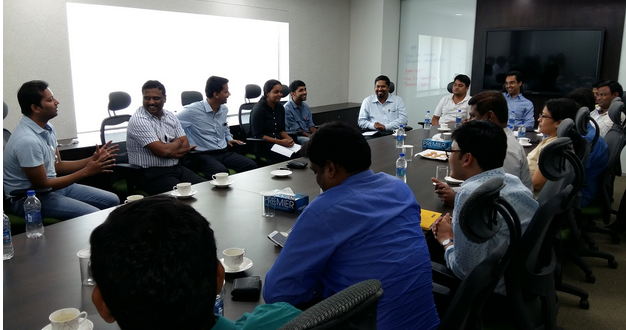 Clearly ZOHO has played an important role in creating a culture in Chennai. 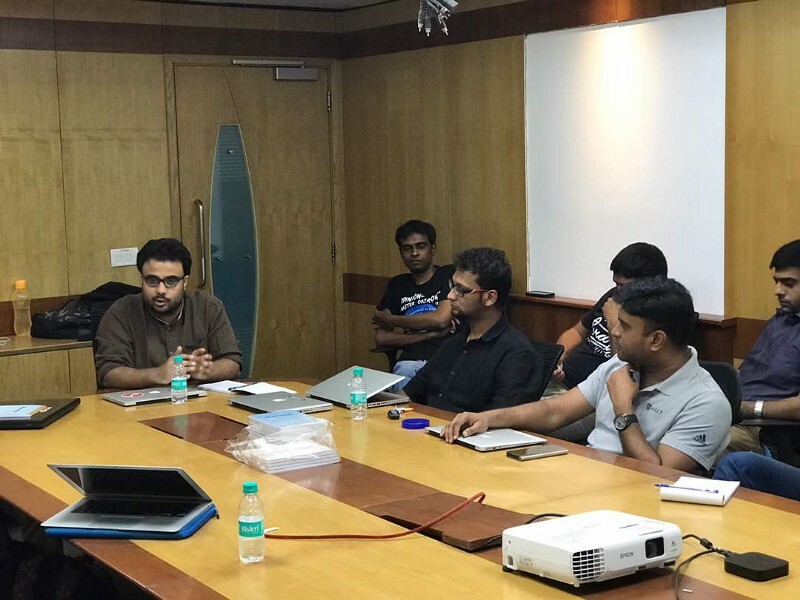 I did get to do some playbook roundtables in the early days of iSPIRT, basically i would use Chennai to validate some of the playbook roundtables. Most of the playbooks were done at Orangescape and more recently Aditya Sanghi(Hotelogix) got some 6–7 founders from Bangalore to learn SaaS scaling from Freshdesk. I remember, it was one of the insightful playbooks and I got to meet Sanjay Parthasarthy from Indix for the first time at their office and also did a tour of the ZOHO campus which was quite far from the city. In 2014, I was in Chennai for some meetings. It was around the time of SaaStr and it was then that it struck me that two large SaaS companies are already based out of Chennai, that and many others like KiSSFlow, UnMetric, Indix, Chargebee, Pipecandy and Zarget were all SaaS companies. 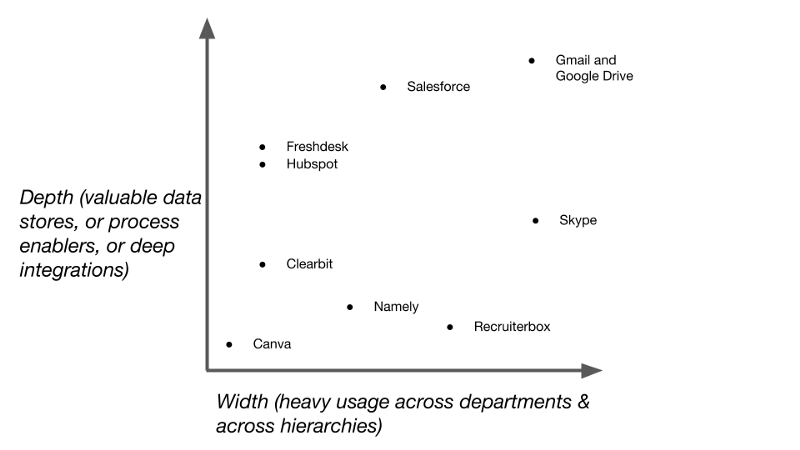 It became clear to me that this city had a strong DNA of building SaaS/B2B products. I and called up Shekhar Kirani from Accel (I consider him to be the Force behind the SaaS ecosystem in India). I bounced this idea off of him, asking for support for something around SaaS in Chennai. I got a green signal after which I reached out to Suresh and Girish. I got full support from them and in less than 20 days, we pulled together SaaSx Chennai. Full credit to Suresh Samabandam for coining SaaSx. By the way, EMERGEOUT was also his coinage. The energy at SaaSx is always very high and we did the first three editions every six months. The beauty of SaaSx is that it is by entrepreneurs for entrepreneurs and some real sharing is been done by people like Girish, Suresh, Avlesh, Paras, Krish, etc..
As iSPIRT, we are blessed to have strong support from such people who believe in paying it forward and are happy that we have been able to create a robust & safe place for SaaS founders. We will continue to stay focussed, curate the audience, and ensure that the platform becomes a meaningful one for SaaS founders in India. We are all excited about the fourth edition of SaaSx in Chennai on 17th March, and I’m proud to continue to bat for the city (like Krish Srikkanth) and make an impact in the SaaS ecosystem. According to a recent report by Google and Accel Partners the SaaS market in India is expected to cross over $50Bn by 2025, driven largely by demand from Western markets, in particular from US-based SMBs. Indian firms are noted as uniquely qualified to serve this opportunity given the available talent, mobile-first mindsets and language skills that enable cost-effective inside sales. In realizing this opportunity, however, there remain a number of hurdles to be cleared. To understand these challenges, and gain insight into the SaaS landscape in India, Signal Hill, a reputed independent advisory boutique and the iSPIRT Foundation conduct the annual India SaaS Survey which is open to all SaaS businesses in India. To participate in the 2016 survey, respondents will need to fill in two simple forms Form A, a 100% anonymous survey and Form B, which records company details for us to share the final report. Note that A & B are kept distinct to protect your privacy. Overall, the surveys are 100% multiple choice and will take ~10 minutes to complete, providing the ecosystem with invaluable data & insights. Apart from the core analysis of the industry and its challenges, participating companies will have their company logo featured in the report and they will also receive a surprise gift from the organizers as a token of appreciation for their support, time and valuable inputs. It goes without saying that relevant solutions are found only when problems have been clearly identified and understood. Your 10 minute contribution to this effort will be hugely useful in helping the Indian SaaS ecosystem to get there. SaaSx3 2016: Sun. Water. Sands and Conversations! You work hard all year long to ensure your businesses become successful or stay successful, but everyone needs a break to relax and reflect. Don’t feel guilty about heading to the beach this summer. It’s that time of the year when the league of the eXtraordinary SaaS hackers meet. Yes, you read it right! SaaSx3 is here in Chennai once again. SaaSx has been making waves every year and this time, it’s by the bay, on the 2nd april 2016 at Ideal Beach Resort, Chennai. Who says you can’t have focussed discussions in a session that takes place under the open sky? There is something ethereal about the waves of the sea. I believe, that there’s no other perfect environment for learning, deep contemplation and a chilled-out time with the leading thinkers of the Indian startup ecosystem. In its 3rd year, SaaSx3 is a lively mix of startup founders and entrepreneurs from all over India coming together to celebrate entrepreneurship. This brainchild of iSPIRT is a steadily growing movement, that aims to facilitate a community for Indian entrepreneurs to nurture great relationships. And of course! networking too! I can’t wait to experience the unconference vibe –just a perfect way to loosen up relax and learn. They say, each wave is different, and so is every entrepreneur’s experience. To become a great surfer, one does not have to wait to ride the perfect wave. Don’t keep yourselves at bay, save the dates . Meet you at SaaSx3 to listen to those adventurous tales of incredible startups!